An medium sized original factory window from an industrial warehouse. Each of the panes is individually glazed. 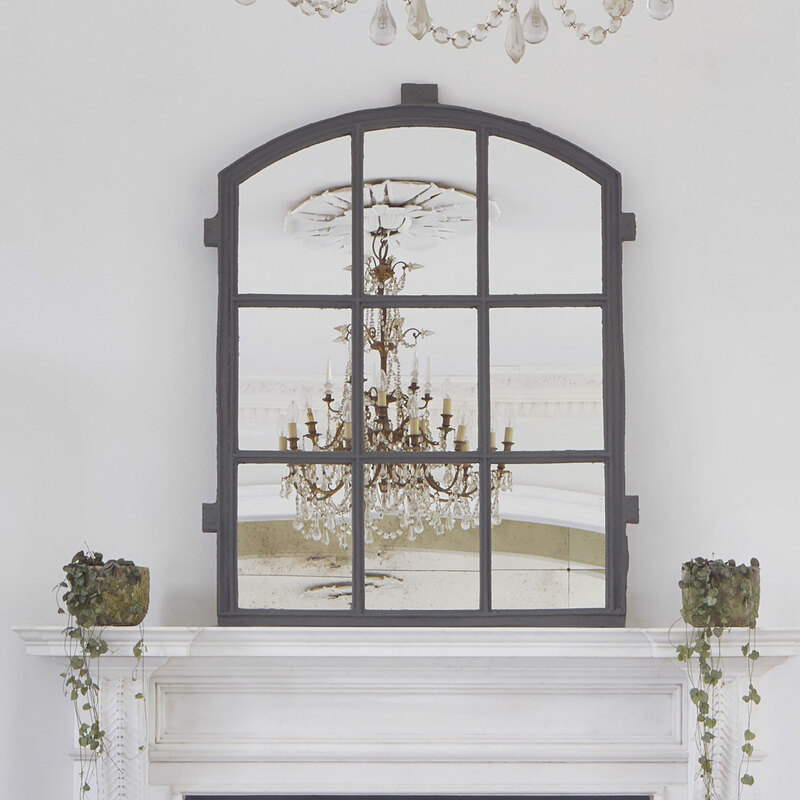 Salvaged and glazed with mirror glass to create a perfect hallway or over-mantle feature mirror. A medium sized original factory window from an industrial warehouse. Each of the panes is individually glazed. Salvaged and glazed with mirror glass to create a perfect hallway or over-mantle feature mirror. 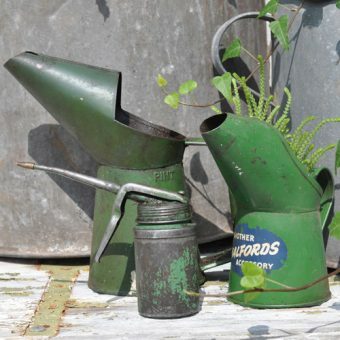 It can be leant against the wall on top of a statement piece of furniture. 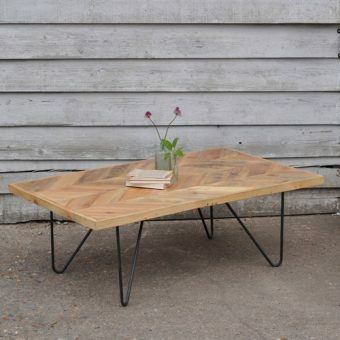 This piece would look wonderful in a garden room or is perfectly suitable to be used in an outdoor space (foxing of the glass may occur outdoors which looks really superb and speckled). Outdoors mirrors give the illusion of extra depth and reflect light adding illumination to darker areas of the garden. 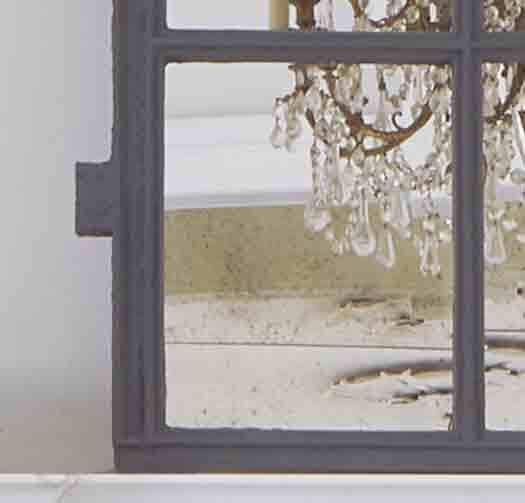 The cast iron frame is beautifully patinated from its use as an external window. The original frame has been hand painted in Farrow & Ball Down pipe Grey. The mirror glass is all new and in very good condition. 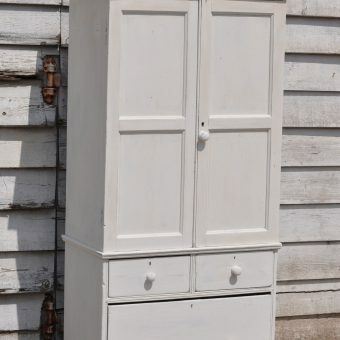 We would need to ship this via specialist carrier due to it’s size and the amount of glass, please contact us for a shipping quotation with your adress and postcode. 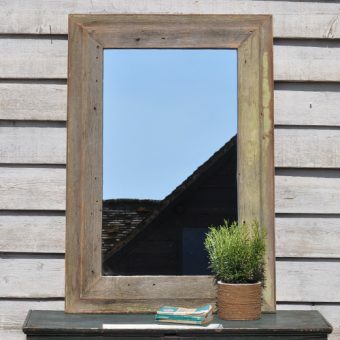 Not all our current stock of mirrors are up to date online at all times, please call if you don’t see what you are looking for here to find about any new arrivals. Tags: antique, Arch, bourne end, Cast, factory, french, henley, homebarn vintage interiors, iron, marlow, mirror, modern rustic, overmantle, shiplake, small, Topped, urban, vintage barn interiors, warehouse, warehouse home, window.